There’s very few whiskies produced on this earth that I’ve been in the same town in which they’re produced. In fact, outside of my distillery tours to Talisker and Yamazaki, the closest I’ve ever come was driving through the town of Oban during my trip to Scotland a few summers ago. Perched a few dozen meters back from the sea is where they make Oban scotch, a tiny distillery by any measure. It was charming, but after the absolutely harrowing drive there (you call that a lane UK?!) I was more than happy to take a dram in our room. I do hope to return one day. Perhaps my good impression of this scotch is augmented by the fact when I was offered whisky, I was looking suspiciously at the bottle of Jameson within arms reach. But when my gracious host (shout out to Chris) pushed it aside in favour of the Oban Little Bay I sighed with relief. It pours a rather deep amber — whether the result of caramel colouring or its time spent in small sherry and bourbon casks, I don’t know. But it sure is pretty to look at. On the nose, this scotch begins to flex a bit on it’s 14 year old kin. There’s a whiff of cappuccino, a bit of apple, some fresh spring flowers and an undeniable sweetness, like vanilla. 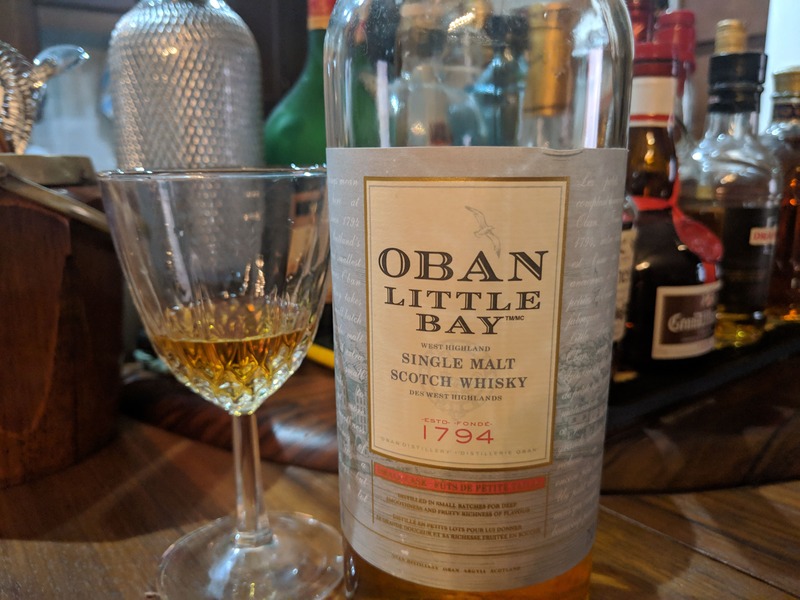 It’s evident there’s complexity going on, and the alcohol fumes (on the admittedly mild 40 ABV) Oban Little Bay are completely subdued. The taste continues to impress. The characteristic saltiness of the Oban 14 is present, but in a milder form. Think salted caramel instead of sea brine. There’s a sweet coffee note, more in how fresh ground coffee smells than in how it tastes. And there’s a delicious sweet fruitiness, like a very good orange marmalade. To round it out, there’s also a dash of iodine, which keeps it from becoming boring — something other Oban scotches suffer from in my opinion. The finish was medium-long and all caramel. I am officially an Oban fan now, if not for their flagship. They’ve got something going here, and it strengthens my resolve that NAS scotches can be damn good. If you’ve got the scratch, go in for a glass of the Oban Little Bay. A little dram is well worth sipping slow. 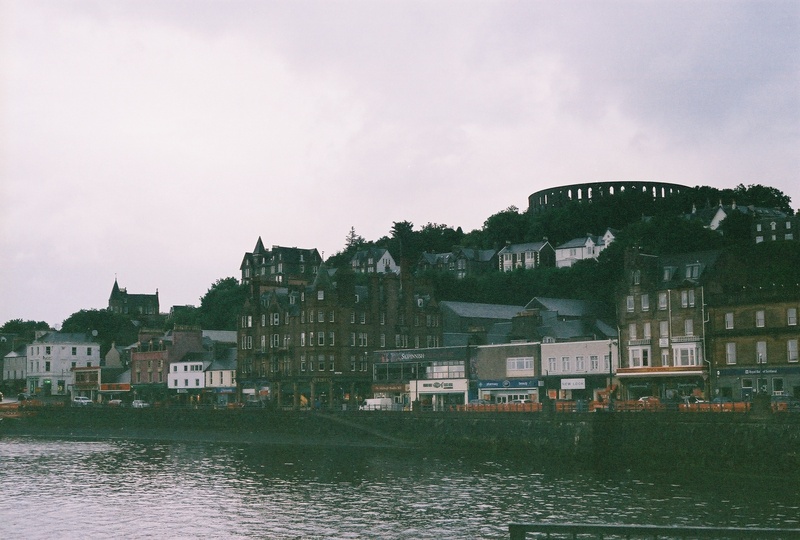 The town of Oban in all it’s gloom. Photo courtesy of Christine Bonk.